Zionism is the feeling that regardless of how I was raised, I have chosen to identify as Jewish, and Israel is a place I can always call home. I grew up in a small town in New Hampshire. Less than one percent of New Hampshire residents are Jewish which made it hard to learn much about Judaism. My mother is Jewish and my father is Catholic but we did not grow up with a specific religion. We hunted for Easter eggs and Afikomen but were not sent to Hebrew school or Sunday school. Although I was not raised under a specific religion, my parents taught my siblings and I to make educated decisions, follow our passions, and never cease asking questions. I am thankful that they paved the way for me to make my own decisions about my education, religion, and moral beliefs. Although my childhood was not based around Judaism, as a young adult I have paved my own path to identifying as Jewish. When I left New Hampshire for college in Baltimore, I became more involved in Hillel and in learning about a religion that, in the past, I had not understood. I found that the history and language of my religion were incredible. I was drawn to the thriving Jewish community that existed in college. I attended services, took classes on the culture and struggled through a Hebrew class. I learned about the word Zionism in college when I decided to go on Birthright. This is where I got to learn about tangible history, find my own reasons for loving my religion, and form a connection to Israel. I am grateful to have created my own sense of what Judaism is.  I feel that creating a connection to Israel and discovering that you are part of something much greater than yourself, is also what Zionism is based upon. Zionism exists so that young people like me have a place they can call home. I now have a clear path and Israel is a place I can call home. For me, Zionism is about inclusion rather than exclusion. I am proud to be from a place where it has ownership of its own culture, history, food, and language. Although the population is diverse, everyone is from a place that has preserved its pride and support of the Jewish people. On my Birthright trip, we were offered the chance to have an unofficial Bat Mitzvah on Shavuot in Jerusalem. I was welcomed into a religion that I had always been a part of but didn’t always understand. From a small New Hampshire town, to the beautiful city of Jerusalem, I was so grateful to have discovered Israel and chosen Judaism. I made my own decision to follow this religion and shape my life around its beliefs of inclusion and community. I continue to feel the pride that shapes Zionism. I believe that being a Zionist today means that I should give back to the community that gave so much to me. My goal in Israel is to gain more experience in women’s health so for me, giving back to the women’s health community is one way I will support Zionism. It means that I will honor my culture and religion by raising my family in the Jewish religion and educating them about Israel and its beautiful culture, history, and language. I will always be grateful for my childhood and for the strong background my family gave me. Now I look forward to living in Israel and giving back to the community.